By Subway Subway Line 1: Jonggak Station Exit No. 5. 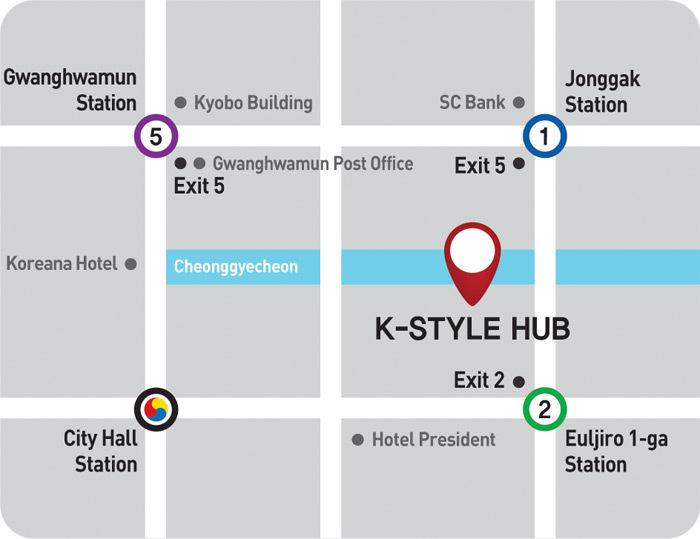 The KTO Building is located across from Youngpoong Books. Subway Line 2: Euljiro 1(il)-ga Station Exit No. 2. The KTO Building is in the direction toward Cheonggyecheon Stream. Subway Line 5: Gwanghwamun Station Exit No. 5. The KTO Building is in the direction of the Dong-A Ilbo Building.